Are you experiencing sharp pain when you cough or lift heavy items? Learn more about the hernia repair procedures at our Kelowna private hospital, and how our surgeons can quickly relieve your pain and restore the function to your body. 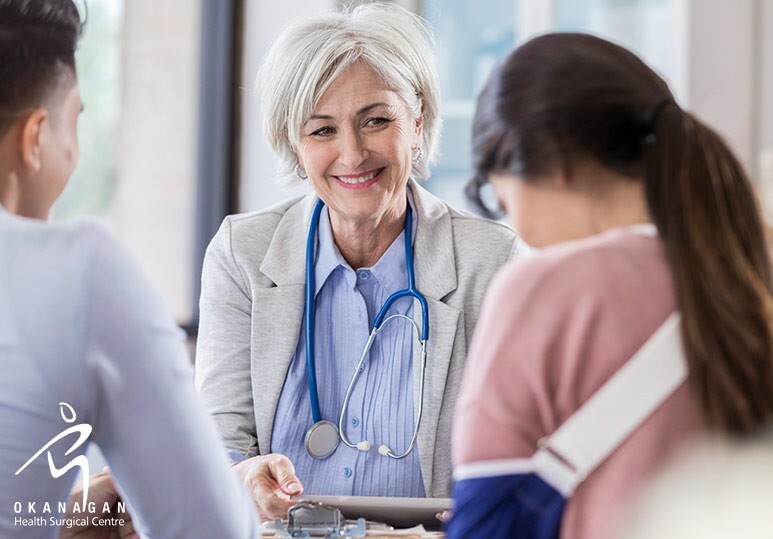 At our Kelowna private hospital, our qualified general surgeons are experienced and knowledgeable in hernia repairs and can safely and quickly minimize your pain and get you back onto the path of wellness. 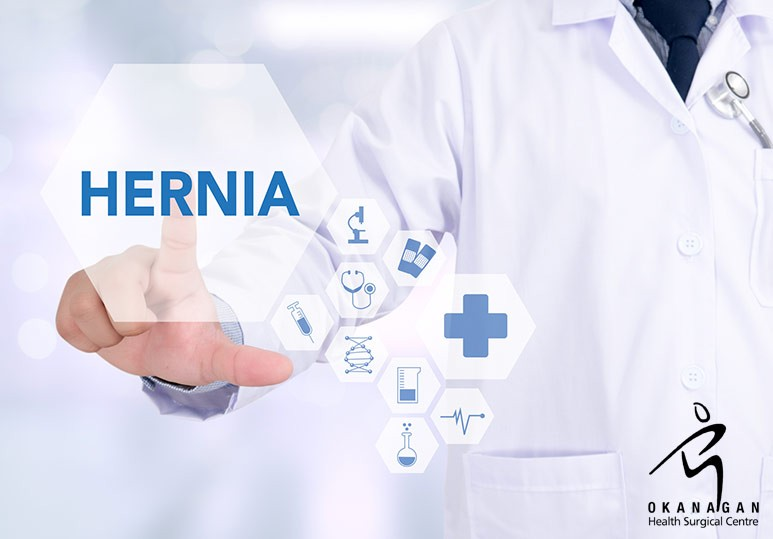 A hernia can occur in any part of the body but the most common sites are near the navel (an umbilical hernia), upper abdomen (a hiatal hernia), or at the site of a recent surgical scar (an incisional hernia). A visible lump or swelling under the skin. Pain or aching that worsens with movement. A heavy, full, or bloated feeling. Digestive problems (eg. heartburn or bowel issues). Do I Really Need a Hernia Repair? While it may be tempting to put off a hernia repair in order to avoid surgery, this is not always the right choice. Hernias never get smaller or go away on their own. In fact, without treatment, they can pose a serious threat to your health. Open Surgery: Your surgeon will make an incision directly over a hernia and will use mesh to close the hole which has formed as a result of a hernia. 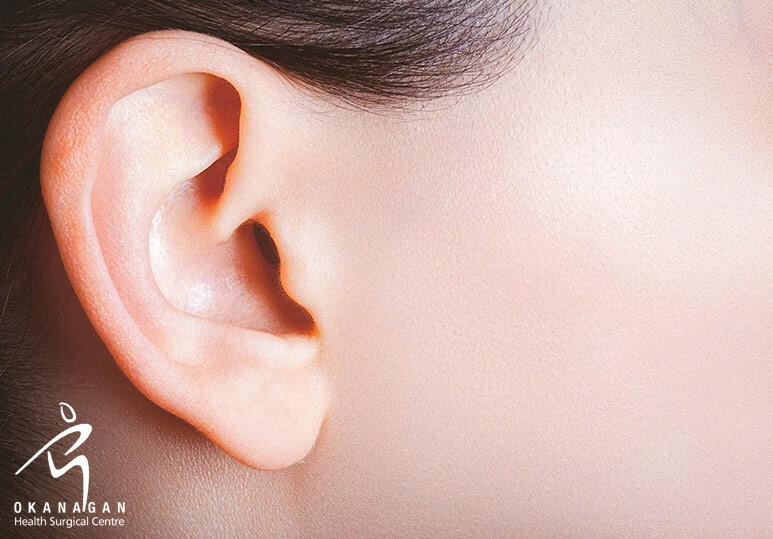 This can often be done under local anesthesia and on an outpatient basis. Laparoscopic Surgery: This is a less invasive approach, where the surgeon will insert a small tube through the abdominal wall and will place the surgical mesh using the tubes. Stay at a healthy weight for your height and body type. If you’re worried about being overweight, talk to your doctor about getting on a healthy exercise and eating programme. Incorporate fruits, veggies, and whole grains into your diet. Not only are these foods good for you, they’re packed with fibre and will prevent constipation and straining. Be careful when lifting heavy objects. If you do have to lift heavy objects, you should always bend your knees and not your waist. Visit your doctor when you’re sick. If you have a persistent cough from a cold or have allergies that cause you to sneeze a lot, you should talk to your physician about medication. Quit smoking. Smoking can cause persistent coughing and this can strain your abdominal muscles. To find out more about the costs and benefits of our hernia repair treatments, and how our surgeons can help eliminate any pain or discomfort quickly and safely, contact our Kelowna Private Hospital at 250-868-9799 or book a consultation.